Did you get chicks this spring? Me too. Soon they’ll start laying, but if you let your hens free range, you might not find those eggs easily. 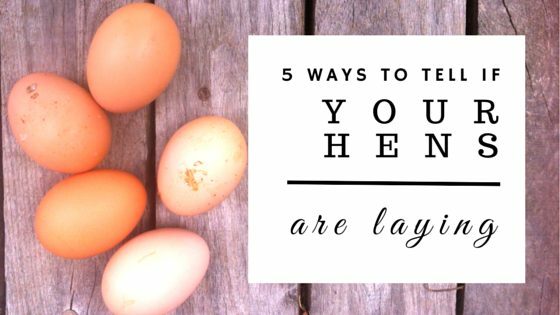 Here’s some of the best ways to tell if your hens are laying! Even if you keep your hens in an enclosed area, knowing when they’re ready to lay is one of the most exciting moments of chicken ownership. I’ve ranked these ways in the order I use on our homestead because they’ve worked well for me and my flock. I like using the comb and wattles (and the area around the eyes to a certain extent) to tell if my hens are laying or might lay soon. It’s not the most scientific way, but it’s the least invasive, and in my experience, fairly accurate. Look at your pullets – what do their combs and wattles look like? Are they a vibrant red or dull? Are the wattles small, or are they starting to droop and sag? These two pullets are from the same hatch, but the pullet on the right looks like she might lay soon. Her waddles are longer and more red than the pullet on the left. Vibrant red wattles are my best bet for telling whether my chickens are laying (aside from the hens laying an egg in front of me). 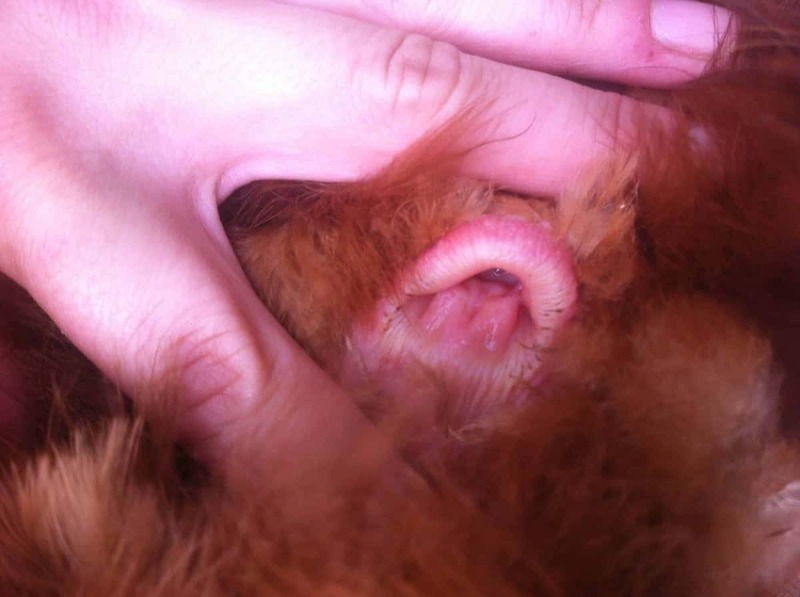 When Qwerty was about 6 months, the length and color of her wattles quickly started to change. Her comb also became more prominent, and the color around her eyes changed, and sure enough, she soon started to lay. Qwerty came to the homestead with 2 other pullets, also Blue Copper Marans, who were born 4 weeks after her. One has wattles that have started to change, while the other one from the same hatch haven’t. You can easily see the difference between the two. While I’m not sure the pullet is laying yet, I’ve isolated her with my other laying hens to find out! If you have a rooster, this is one of the best ways to tell if your hens are laying. 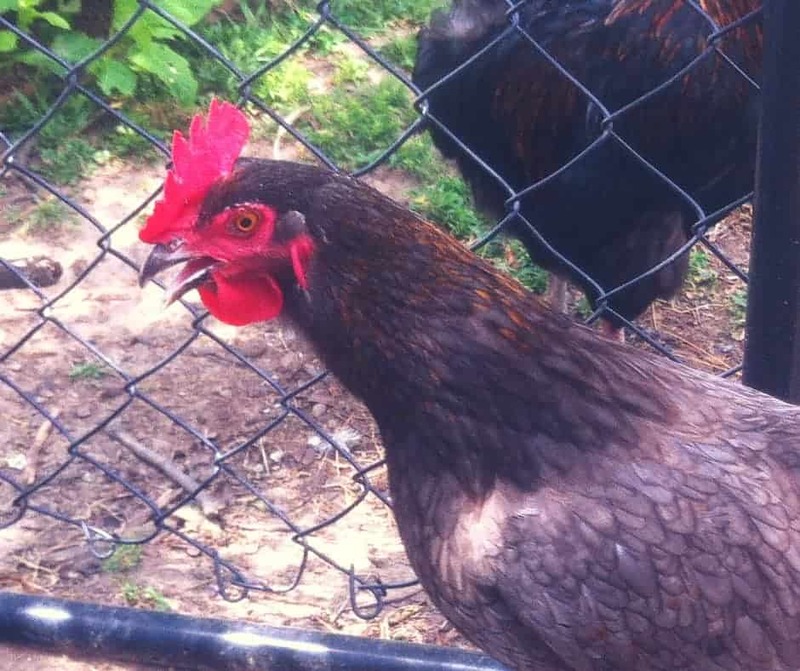 Watch your hens behavior – is she happy go lucky as a pullet, eating and minding her own business, or has she become glued to the hip with a rooster? Roosters don’t really worry too much about pullets that aren’t laying – their success producing offspring doesn’t depend on it. Once the hens are ready to produce eggs, though, it’s a different story. The rooster starts to feel more possessive and does his “mating dance” around her to show that’s his girl. It’s hilarious and a good indicator your pullets are becoming hens. I definitively knew Qwerty was laying when my king rooster stole her from another rooster, Lavender (whom she was best buds with). She became one of the hens flock, and I was pretty sure she had started laying or would lay very soon. As hens start laying, they divert the yellow color in their skin pigment from their vent, her eye rings, legs, and beak to their yolks. The vent is the first to start losing its yellow color. The yellow will fade from the vent within the first week of laying, and it’ll become a white, pink, or bluish-white color. This hen lays, but isn’t my best layer. You can see her vent is pink, but not completely bleached. 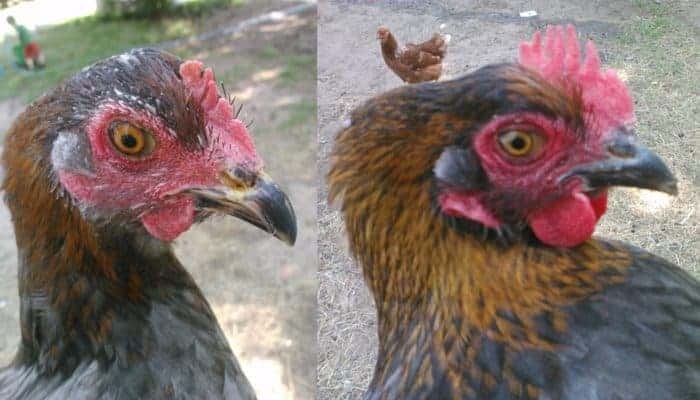 Within 2 weeks, the eye rings will start to bleach, and finally her beak will begin to lose its pigment, too, starting at the base and heading out towards the tip. A hen that shows black in its beak is likely laying, although this is breed dependent, since darker colored breeds sometimes have dark beaks. It takes 4-8 weeks for the beak to begin to bleach. Hens that have beaks that aren’t bleached haven’t started laying or haven’t laid an egg for 4-6 weeks. Molting is almost always a sure sign your hens aren’t laying, since the bird needs to put her energy into making new feathers instead of eggs. Hens who have been laying will have feathers that are possibly broken or rumpled, while hens with sleek and clean looking feathers might not be laying. While messy feathers are a good sign of egg laying, I don’t use it as a sign alone, but instead I use it as a secondary indicator. I think the methods outlined above are the best way to tell if your hens are laying. This hen lays regularly. See how her feathers are kinda messy? Think about how neat and shiny a pullet looks as opposed to hens who are laying regularly. When hens molt, it’s always in a certain order. The feathers are first lost from the head, then on the neck, breast, body, wings, and tail in that order. They also lose their primary flight feathers before secondary flight feathers on the wings. If your hens seem like they should be laying but you have no eggs, pen them in an area that’s safe, has water and shelter, and see if they will lay. In my experience, if your hens aren’t used to being penned or experience some sort of stress, it can take up to 2 weeks for them to start laying again, so give them time if you do decide to pen them. We had laying hens, but no eggs. We didn’t realize the cause of the problem was an overly aggressive rooster who was creating large wounds in the hens (which were hidden by their wings and feathers) until we isolated the hens from the rest of the flock. After a couple weeks and a bump in their protein, the girls started laying again. Remember, there might also be nutritional reasons your hens might not be the best layers. Not sure which chicken breeds are the best at laying? 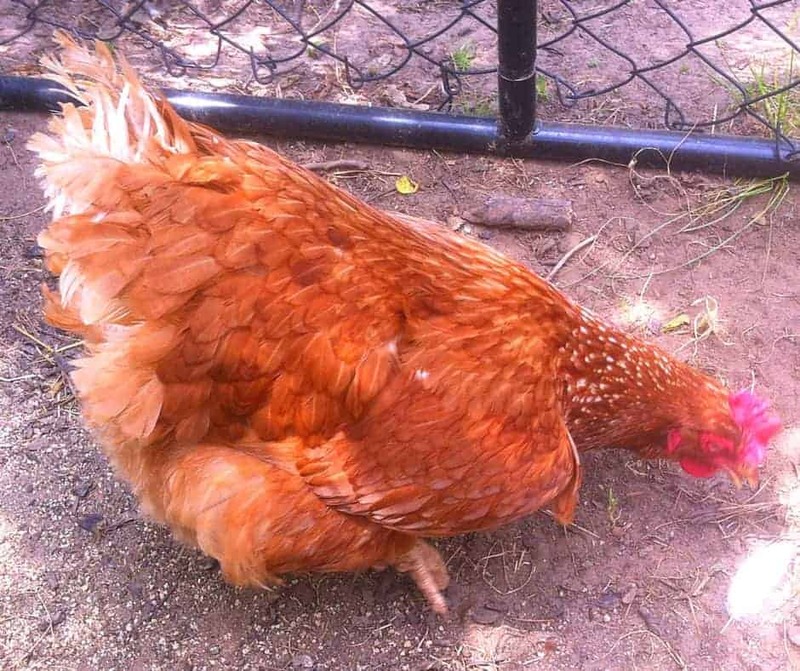 Here’s 5 breeds and here’s what to feed your hens for great tasting eggs! I just got a rooster! I’m hoping my hens will finally lay eggs! Roosters are awesome! Here’s to getting some fertilized eggs! What breed did you get?